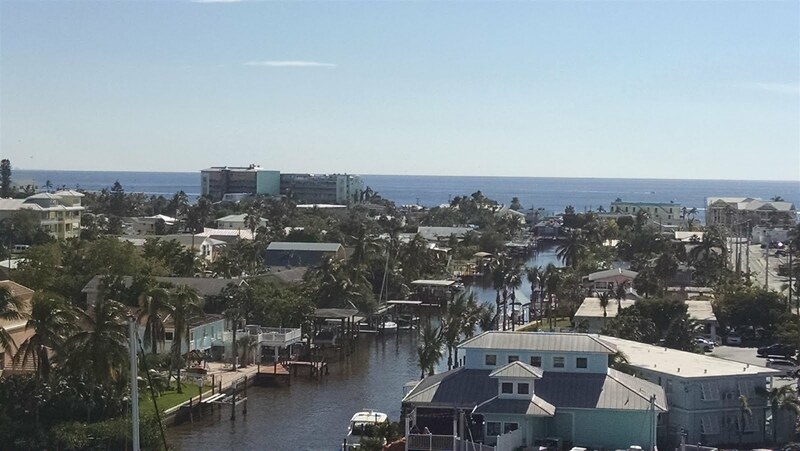 After living on the boat for just over three months it was a nice break to get back to our home port and our condo in Fort Myers to do a little dirt-dwelling for a while. Our side trip to Saint Louis was a welcome change of pace, giving us the opportunity to visit with friends and family there, along with the usual fun of spoiling the grandkids and attending our favorite charity fundraising event. And per our tradition we took the opportunity to visit Jefferson Barracks National Cemetery to chat with some of our ghosts. 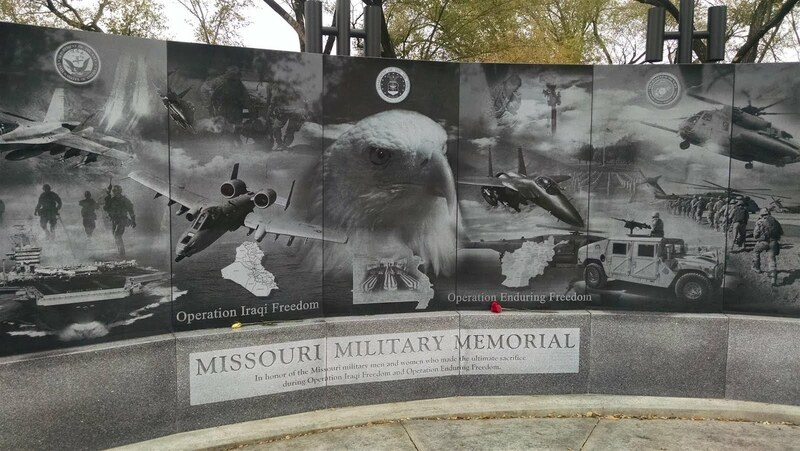 While there we also stopped by the nearby Military Memorial that was erected earlier this year – a moving experience for us over the Veteran’s Day weekend. 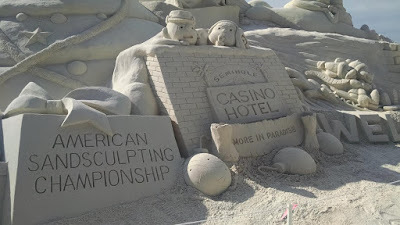 in Any Cardiac Episodes, So We Continued the Ride to the Sand Sculpting. One of the Many Sand Sculptures on Fort Myers Beach...Amazing. Of course we also continued to work on boat projects after our return to Fort Myers. The shaft vibration turned out to be a simple fix….we hired a diver for the standard monthly bottom cleaning and in the process he found and removed a tangled mess of black polypropylene crab pot line from the prop. 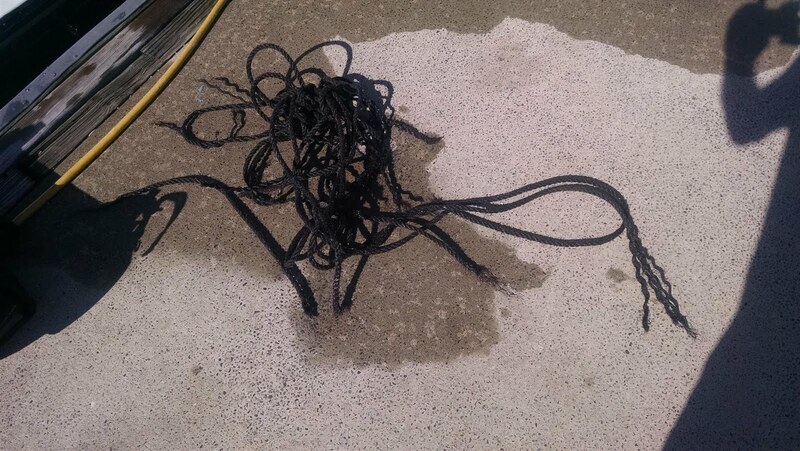 We thought we had done a pretty good job of dodging the numerous pots that dot the waters around the Keys, but perhaps not; we are guessing that we tangled with one that had been orphaned during Hurricane Irma’s passage. Shaft Line Cutter Probably Minimized the Impacts. We were able to partially resolve the stabilizer issue on our own – we had the diver manually move the port side fin which appeared to be stuck or at least difficult to move, and after that we got normal pressure readings on the gyro and system gauges. But there was a faint clunking sound when the fins moved. 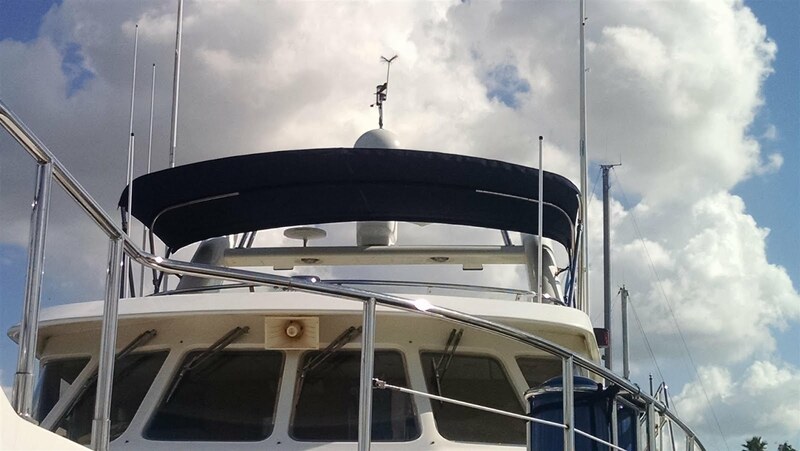 So we had Stabilized Marine (based out of Fort Lauderdale, LINK HERE) make a visit to perform a thorough system health check. They made some deflection and centering adjustments to the port fin via the gyro, and replaced one o-ring, but other than that the system was pronounced healthy. The grease leak on the hydraulic pump appears to require a new backing gasket which we’ve got on order, although we are hoping that just tightening the supporting bolts may do the trick....we'll see. Shield & Belt Guards for Better Access Low & Forward. 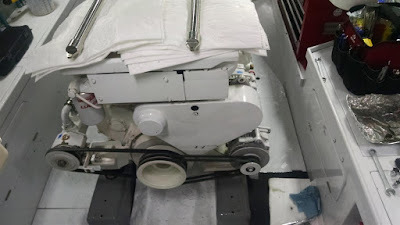 As for the main engine oil leak our diagnosis pointed to the oil pan gasket, and when James (Yacht Tech, LINK HERE) visited on 30-Nov he concluded the same. We (again meaning mostly James) removed the safety shield and belt guards from the front of the engine giving us unfettered access to the oil pan bolts, and re-torqued all of them. After about 90 minutes of running time we saw no more leaks, but an extended sea trial (to be scheduled soon) is required to verify. to Replace the Old Wind-Ravaged White One. At about the same time we made another, mostly cosmetic, improvement to Ghost Rider, by replacing her old and weathered fly bridge Bimini top. After one hurricane and several tropical storms, the original had developed some serious scars (holes) so we had a replacement top custom fabricated in Sunbrella navy (using beefy Tenera thread for its zippered seams) by Atlantic Marine Canvas (LINK HERE). We had to install it ourselves since we had ordered /measured it while back in Palm Beach and they had shipped it to us once completed, but it fit like a glove. Now as for that sea trial....we have been dirt-dwelling for over three weeks and Ghost Rider needs some exercise, so we'll be looking for a window in the near future for some nearby coastal cruising and anchoring exercises. After that we should have a much better idea of how close Ghost Rider is to ops normal.